Former chief minister of Assam, Prafulla Kumar Mahanta addresses a Press conference in Guwahati on January 25, 2019. Image: Northeast Now. Former chief minister of Assam and senior leader of Asom Gana Parishad (AGP), Prafulla Kumar Mahanta on Friday accused the BJP and a section of its legislators/ministers of trying to sow seeds of religious intolerance in the state. 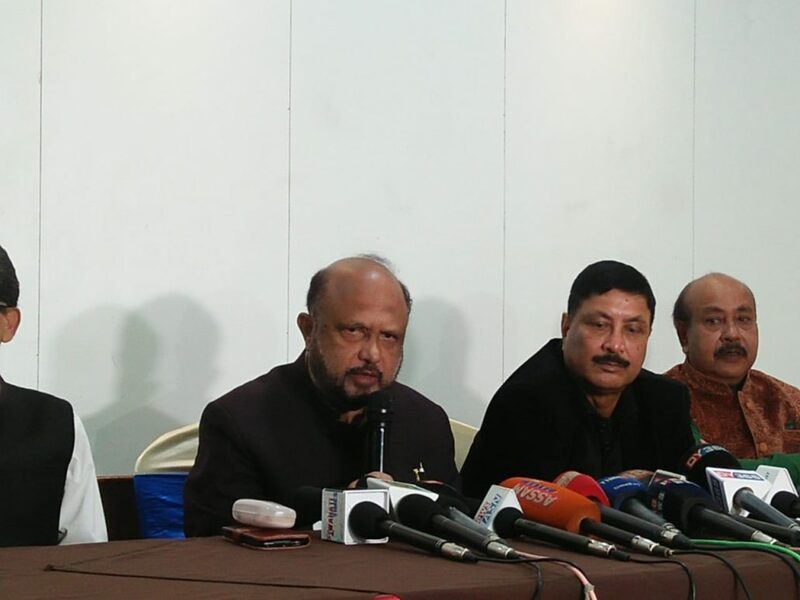 Referring to the restive situation that has been precipitated in the state because of the raging protest against the contentious Citizenship (Amendment) Bill, Mahanta said reckless remarks that were being made by a section of BJP legislators/ministers would spread more hatred in the state. The former chief minister, therefore, called upon the Governor of the state to intervene by asking the particular BJP legislators/ministers to desist from making comments against any religious community. Mahanta accused the ruling BJP of trying to give communal colour to the protest against the Citizenship (Amendment) Bill and stated that people of Assam would give a fitting reply to the BJP’s sinister design that will spell doom for the indigenous Assamese people. Mahanta said the ASM would do everything possible to prevent the Bill which is against the spirit of secularism enshrined in the Constitution, from getting enacted. “I have met Sharad Yadav, Yashwant Sinha and Chandra Babu Naidu regarding the Citizenship Bill. All of them have promised to oppose the Bill in Rajya Sabha,” he added. “Doesthe BJP government in the Centre have the figure of number of religious minority community people who had come or will come to India from the neighbouring countries to escape persecution? Why the BJP government doesn’t raise the issue in the United Nations if there has been religious persecution in neighbouring countries?” Mahanta asked.